I bought a Silhouette!! 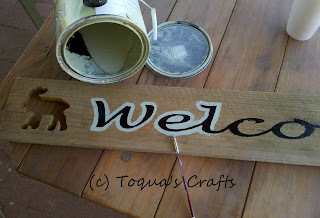 My new blog friend Gail at My Repurposed Life has shown so many new projects that I fell in "love" with the Silhouette... so... I took the plunge and bought one. The first thing I did was to cut a "Welcome" out of a regular piece of paper. Then, I decided I really wanted to redo this sign that hangs outside our front door. My husband's friends made him this sign before we met (& married). I went to the computer and designed what I wanted for my our sign. (At this point I haven't said anything to my husband about changing the sign as I already know what he'll say, "It's ok the way it is.") 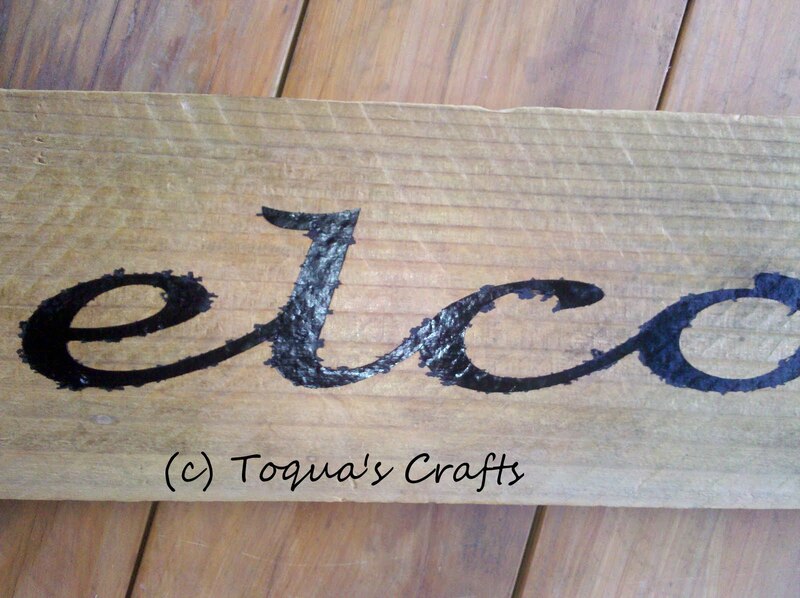 I cleaned up the back side of the sign before I started attaching the stencil. I have not received the vinyl that I've ordered so I used contact paper to create my stencil. (Also vinyl is a bit expensive to use as a "stencil.") Gail felt that vinyl 'may' stick to the unfinished wood but contact paper definitely would not stay. I had that little squeegee thing in my kitchen drawer. I've had it for years! I think it came from when I installed window tinting on a window in the house I had before I met my husband. I wanted to make sure that the contact paper was on there 'real good'. I wanted the edges to be 'sealed' as best as possible. I also used my Pampered Chef pan scraper that I've had for years (and I use it for everything!) to make sure that the contact paper was down nice and tight. I used my tweezers from my beading kit to place the centers of the "o" and the "e's"
Then I proceeded to "stencil" the sign. I'm so excited! This is going to be SO EASY! As hard as I tried, the paint bled under the edges. Hmmm... now what do I do? Sand it down and start over? I have a can of black spray paint. Remember when I was working on painting the house? 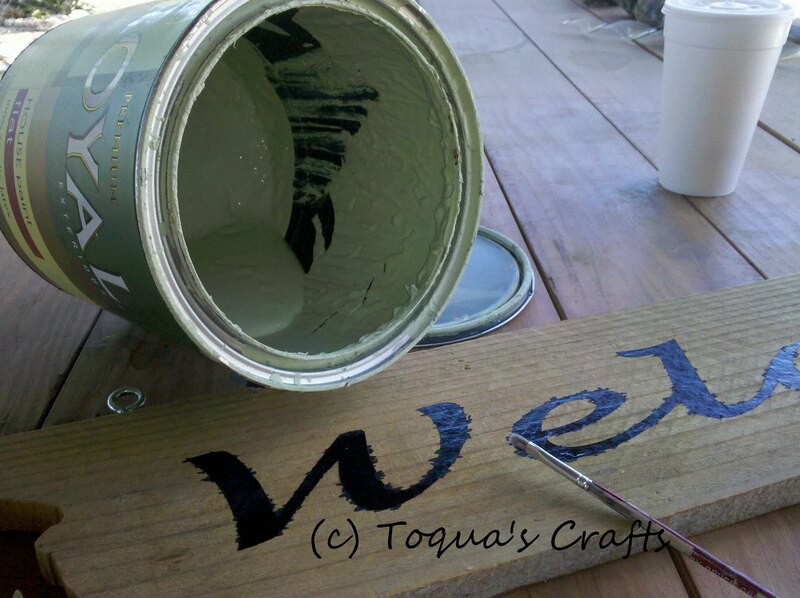 What if I 'edge' the black letters with the lighter green paint? At this point I'm not too sure if I like it. Hmmm... still not sure... well... I'll hang it up and see what the hubby says when he gets home. Actually, I do like it once I hung it up! I'm excited... I can't wait for the husband to get home and see it! He came in the door. Dropped off his lunch box. Emptied his hands from the small grocery bag. I asked him, "Did you see the welcome sign?" He said, "Yes, it's laying there on the counter." He's talking about the leftover stuff from the contact paper that I'd left on the counter! He never even SAW the sign when he walked in! I LOVE the new sign! I think it is so cool that you used the light green house paint to outline the letters. 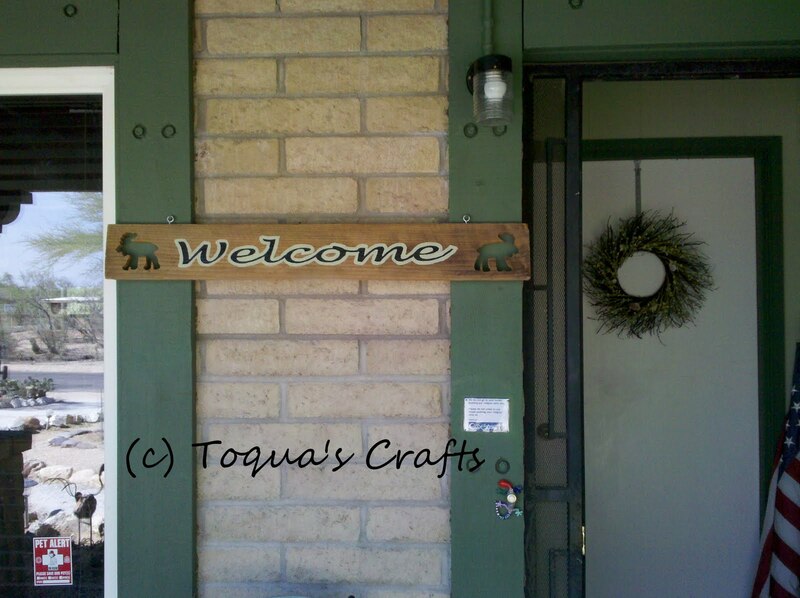 It makes the sign so distinctive and very much a part of your house. I really love how your sign turned out! On the last sign I stenciled (forgot to take after pics) I touched up the bleed with the background color of the sign. But since your sign was "wood" you couldn't do that but found a GREAT solution. I'm not sure what's a good way for "no bleed". Unless we use paper and then spray it with adhesive. hmmmm You are right though vinyl is too expensive for a stencil. 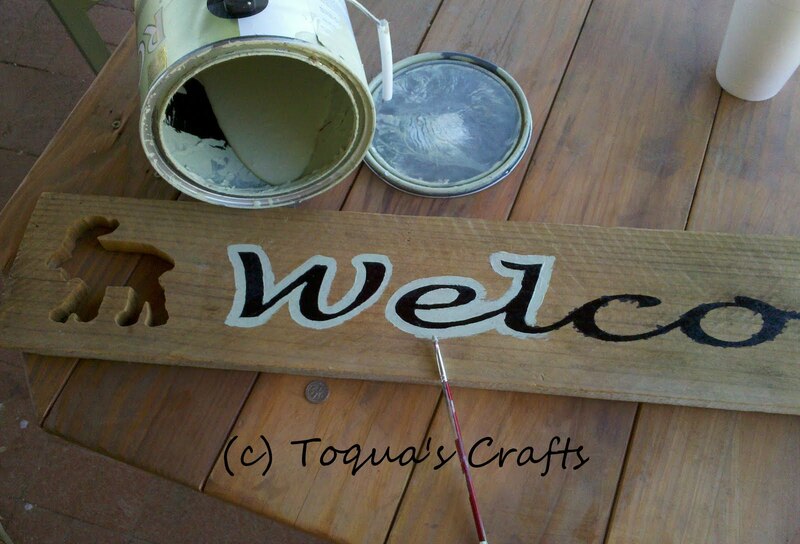 UNLESS you saved the positive part of the cutout for another sign, and then used the negative for the stencil. I agree with Marty & Gail on the aesthetically pleasing design of your new "Welcome" sign. But I also loved the old one with the bear sculpture holding the sign. Marty, Gail, Bonnie... THANK YOU! Bonnie: we still have that welcome sign with the bear holding it, but we keep it in the house to protect it from the weather! I'd hate for it to disintegrate eventually. lol Guys never notice that stuff! Yeah for the new machine! I think the sign looks great! I think it looks great! Nice save with the green paint, too!! Thinking about taking the plunge and buying a Silhouette...now that you've had it for a while was it worth it? YES! It is worth it! Sometimes I do things the hard way… LOL… but even so it is worth it. 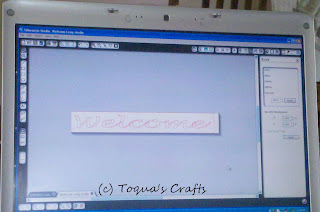 I have never used a Cricut or any other machine… but I didn’t like that you had to buy those expensive cartridges. I *LOVE* that you can download from Silhouette so many different shapes. Depending on what you’re going to use it for… the vinyl can get a bit expensive. So always watch for sales. I can get you places to buy besides Silhouette if you’re interested. 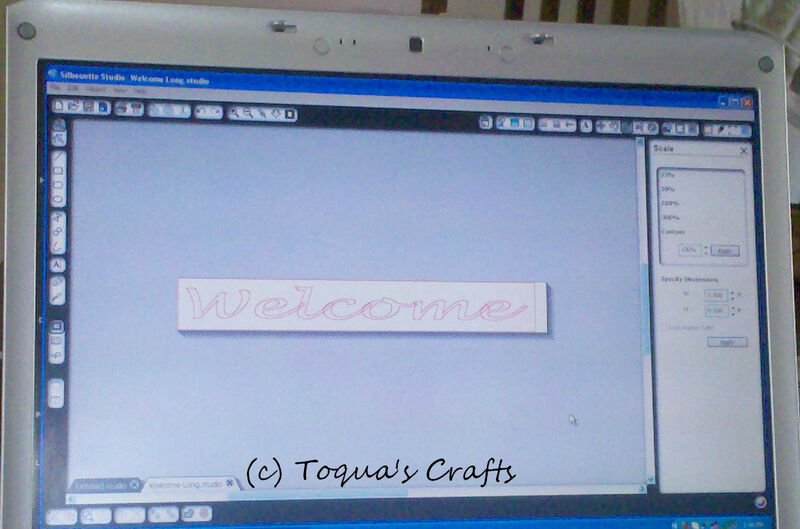 You can also use contact paper for many things, as in the stencil I did on the "Silhouette Welcome!" I just made Halloween cards for my step-mother-in-law and my husband’s granny’s (both nearly 100!) I don’t have it posted yet (look for it on Monday!) They are SO CUTE!! And… I used the Silhouette for those. I would DEFINITELY sign up for the Silhouette blog emails; http://blog.silhouetteamerica.com/. I don’t keep all of them, but… I do keep most of them. They quite often give hints, tips, and suggestions for how to do different things. You can easily find answers doing a search on the net. There are several YouTube videos out there as well. If you have any questions I would be happy to help you out. Only… next time, please leave your email address.